It’s been less than 24 hours since I left Washington DC and returned home to Iowa after having the privilege to attend Edcamp Us DOED a collaborative effort between the Edcamp Foundation and the United States Department of Education. 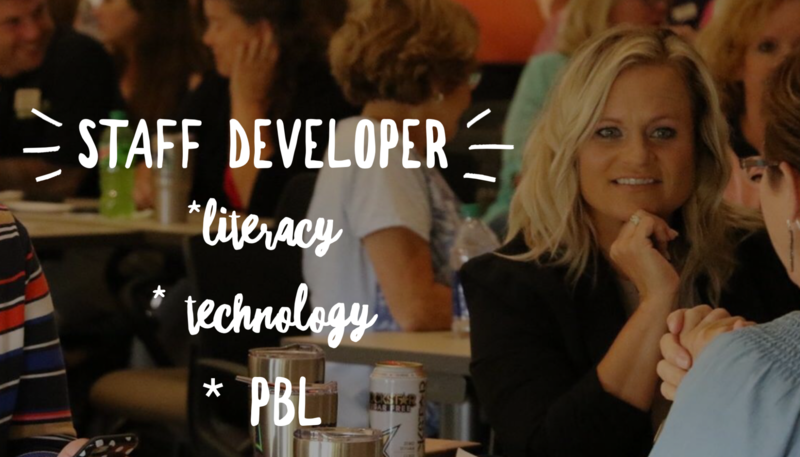 This ” intimate gathering of teacher leaders and policy leaders in order to discuss the most important issues in education” ignited excitement in the heart of this small-town Iowa girl. On July 8th, 150 educators from across the nation, members of the US Department of Education, and other educational thought leaders gathered at the US Department of Education for EdcampUSA. The majestic ambiance of the location, along with the professional discourse throughout the day makes me proud to be an educator. Edcamp is a Global Movement, and together, we CAN create change! Three incredible women helped make EdcampUSA possible: Hadley Ferguson, Shannon Montague (Hamilton Fanatic, email junkie, and general organizer of chaos), and JoLisa Hoover (whose warm smile lit up the room and who also has a new role this fall with our youngest learners). John King, Secretary of the US Department of Education gave the opening address. Mr. King took some time to reflect upon the current violence happening in our nation and the effects it has on our kids. He urged us all to “create the time and space” to work together to improve outcomes for all students, reminding us on the Civil Rights Legacy and the need for equity and excellence in education found in the Every Student Succeeds Act. Education is central to a democratic society, and our students must see a diversity in teachers and administrators around the nation! Open Education Resources (OER) – In a time when technology can afford equitable access to the most relevant content, best instructional strategies, and engaging lesson designs, OER should top the list of every educator. Applying the 5 R Permissions of OER: Retain, Reuse, Revise, Remix, and Redistribute helped many of us create a working definition of OER. Kristina Peters, K-12 Open Education Fellow at the US Dept. of Ed shared insights of this emerging focus at the DOE sharing, “OER is changing conversations at a district level for intellectual property. As a member of an OER platform via Amazon Education, Amazon Inspire, I see this culture of sharing happening daily! Kaye Henrickson shared the movement of OER in Wisconsin, WISELEARN. OER is a way to support each other collegially by sharing rich content and pedagogical strategies that work best for our students. But as with all groups, Steve Dembo (incredible thinker, educator, and favorite thought-provoker) offered these considerations: Free does not necessarily equal open, reallocation of funds must be considered, how can the best resources bubble to the top in these curation receptacles? This, of course, launched into further discussions which sparked a “hallway” conversation and future actions. ThinkOER! Literacy – Literacy is the responsibility of ALL educators. In multiple sessions I attended during the day, the importance of literacy resonated throughout. Technology has not only opened the floodgates to global information, but brought with it the opportunity for students to read, write, communicate, and learn in multimodal means. The evolving definition of literacy and what makes someone literate penetrates all grades and disciplines. To simply ignore this reality is detrimental to the success of students. Digital literacies is a passion of mine. It is my focus and drives much of what I read, write, and learn. It was only fitting to include literacy throughout the day. Whether in Genius Hour or Passion Based Learning, equipping students with the skills and strategies to discern digital resources and to create their own seeped into many conversations. Along with that, I was fortunate to meet both Barry Saide and Juli B two passionate literacy educators I have connected with virtually for years, but only face to face at EdcampUSA. These two consistently fuel my passion and shared snippets of literacy love throughout the day! #BlackLivesMatter: Social Justice and Culturally Relevant Practices in the Classroom – One of my favorite discussions during the day focused on social justice and cultural relevance in the classroom. Many ideas were shared, rhetorical questions asked, and passionate stories told from the group. Shout out to Valerie Lewis (an incredible educator from Atlanta) for Periscoping the session to share with the world! Watch it here. Literacy was again referenced as a way to not only build connections and relationships but as a model to reinforce diversity in learning. Juli and her colleague Justin shared insights from the book by Chris Emdin For White Folks who Teach in the Hood, “ in schools, urban youths are expected to leave their lives at the door and assimilate to “school” causing trauma to the child and the “village”. How then can we expect young people to invest in their community? Adam Bellow (an incredible educator who is now CEO of BreakoutEdu and gets to drive a cool bus around) raised a great point, “often times we begin with Slavery and America, ignoring the important contributions and victories won dating back to Ancient Civilization.” This lack of balance across all content areas reduces diversity to an event or celebration. It needs to be assimilated into the curriculum and an intentional part of the agenda! Connected Education – My final takeaway reaffirmed the importance of being a connected educator. There are so many passionate educators who are helping to make education great, get out there and meet someone new. Attending an edcamp at a new location helps to foster new connections! First, it was incredible to be reunited with Krissy Venosdale, Wanda Terral, and Chris Aviles; we were all in the final Google Teacher Academy together, and as Chris said, “broke the mold.” I was also grateful to have the opportunity to connect with Josue Falaise, an incredible eduleader with vast knowledge in professional learning and leveraging community support! Kharima Richards, Joyce Valenza, and Matt Frat were among the many educators that I met throughout the day whose thoughts and kindness made me pause and think! Finally, I am fortunate to be surrounded and supported by a group of educators who push my thinking and offer an endless supply of laughter and good times – thank you, Kristina, Bob Dillon, Kaye and Adam . My first time in DC was Epic! YOLO! All session resources can be found here!